for army and used lots of for homemade protection. 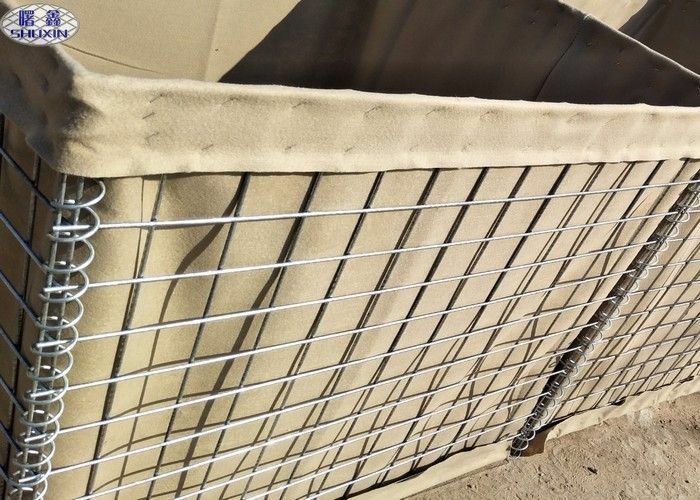 It is made of galvanized welded mesh, spring with other fittings, canbe filled with sand,earth,cement, stone, can be used in separate cell or some cells joint together. 5. Color: Grey and Military Green,Sand color etc. 6. Finish: Hot dipped galvanized, Galfan wire. 2. Defensive Barriers: Protecting both military and civilian personnel in dangerous environments demands defensive solutions that are secure, reliable and readily available. providing protection for up to eight people with Accommodation Bunker. 4. Rockface: transforms the highly effective wall into an aesthetically pleasing structure ideal for customer-facing perimeter security where a more benign appearance is required. No. of Cells: 1 cell, 2 cells , 3 cells, 4 cells, 5 cells. 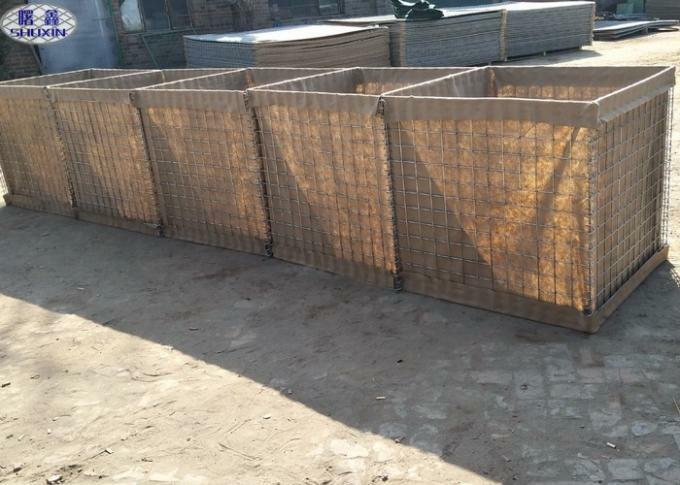 Galvanized Steel Sand Soil Military Hesco Barriers , Mesh 3" x 3"